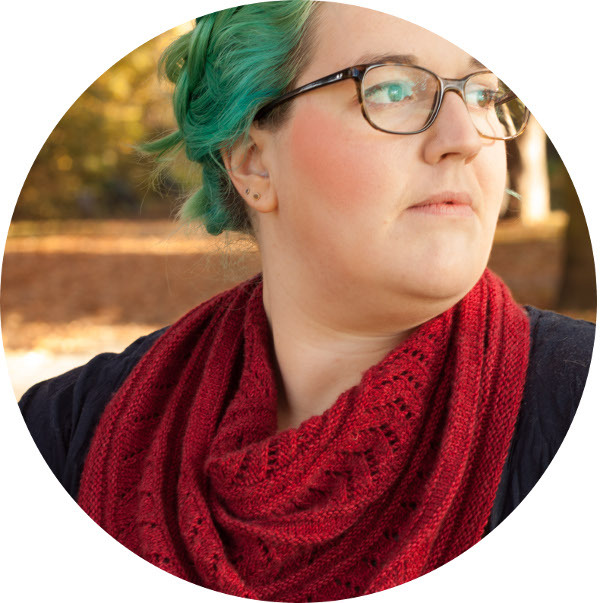 today I want to talk to you about another yarn-y adventure of mine. It’s been a while already but all the way back in June my friend M. and I went to Euskirchen to visit the Rheinische Wollmarkt. I’ve got a few photos for you after the jump. So, it’s been a while — again. Unfortunately for me, I have been sick for all of January. It started on the 2nd and then there were two weeks following where I couldn’t think or do anything at all. It’s only the last few days that I started feeling better, that’s why last year’s knitting review is so late. 2016 was literally my year of socks. My friend M. kept complaining that it was all I was knitting and she was absolutely right. In total, I knit 19 pairs of socks but 12 of them were for me, two pairs of which turned out not to fit and were given away as well. 10 new pairs of socks for my sock drawer! With all the sock knitalongs going on last year, who can blame me? 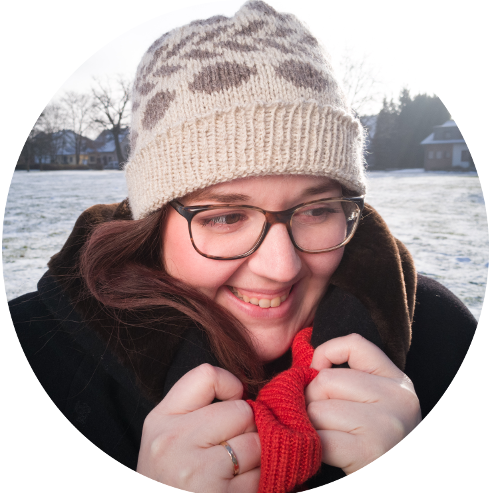 Other than that, there were one toy, one pair of mitts, one cardigan, one sweater (sample), two cowls, three hats, five shawls for a total of about 10 kilometers of yarn knit up last year. Quite the impressive number come to think of it. To be honest, I thoroughly enjoyed knitting all these socks. They are portable, quick knits that you can take anywhere with you. Plus, I learned to knit in movie theaters, so basically in the dark thanks to all the socks. But it’s a shame that I did not knit more “big” projects. I only started one sweater last year that I did not finish yet and there is still one unfinished sweater from 2015 that I mean to finish… someday. Hopefully your 2017 was off to a good start? I already knit two more pairs of socks, because I couldn’t concentrate on more. Simple stockinette in the round was all I could do! Hopefully it will be better soon. 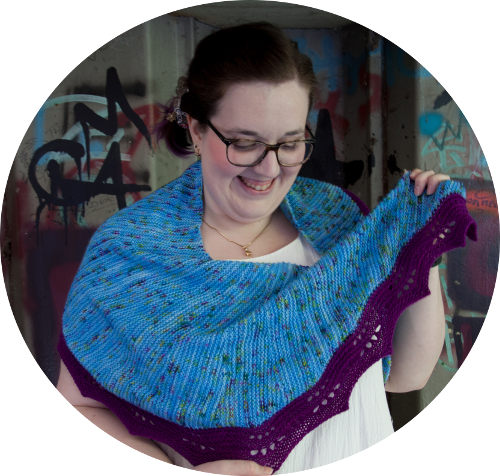 And don’t forget, if you sign up for my newsletter, you will get a coupon for 30% off a pattern of your choice. Wow, is it Christmas already? My husband’s first question is always: “Do we have a Christmas tree?”, although we never actually get one. We have an artificial hand-me-down from my husband’s grandparents that we sometimes set up, sometimes not. This year we decided not to, because we are spending our Christmas at the in-laws. My mother-in-law decorates everything so nicely every year that it really gets me in the spirit. Otherwise I might have missed out on Christmas entirely, I think. Thank you for supporting Indie designers like me this year. Thank you for all the new friends I made (you know who you are!). Thank you for the great experiences at Manchester and Rhinebeck. Thank you for a great 2016 and I wish you and your loved ones a Merry Christmas and all the best for the new year. So apparently it takes me a while to record the next episode and I at least wanted to give you an update about my short time in Cologne last weekend. I’ve known about Wollfaktor for a few years already. Moreover, I knew about her “Ateliertag” as well, it’s like an open studio where you can touch her samples and fondle yarn. Lots of yarn! I’d been meaning to go since I first heard of it, especially since Cologne is so close! Last weekend, we had an unexpected free afternoon, so I decided a short trip was in order. Unfortunately for me, I brought my husband when everybody else came by themselves. Michaela, the dyer and hostess, offered coffee and tea for everyone and people were sitting around knitting. It all had a really charming and cozy atmosphere. Possibly all the yarn contributed as well? I managed to quiz Michaela a bit about her dyeing process and her Estonian wool winder, both juicy information to me. ;) But I also felt a bit like intruding because I didn’t bring my knitting (sorry, you guys!). Next time, I will leave the husband at home and bring something to knit on. This was the last Ateliertag for 2016 but I am looking forward to next year! The green yarn is already spoken for but only time will tell what I am going to do with the others. If all this piqued your interest, Michaela’s online shop can be found on DaWanda. And if you enjoyed this post, please consider subscribing to my monthly newsletter. There is now a podcast! I’ve been talking about this for quite some time but after being at the podcaster meet up at Rhinebeck Saturday before last I thought I should actually get around and just do it. So here it is, the moley cast. Episode number 1 is all about Rhinebeck (of course). A boxy, light-weight sweater with mohair inserts in the shoulder section. Personally, I love highlighting the upper part of a sweater, it will get people’s attention and the scoop neck in this design also helps a bit with drawing the eyes up. The use of their Superwash Sport in mix with mohair-blend Silk Mist makes it a wonderfully versatile sweater. Working with the Superwash Sport was very delightful as well, it has just the right amount of twist and give to make it great to knit with. As for the construction, this one is a bottom-up, completely seamless garment. 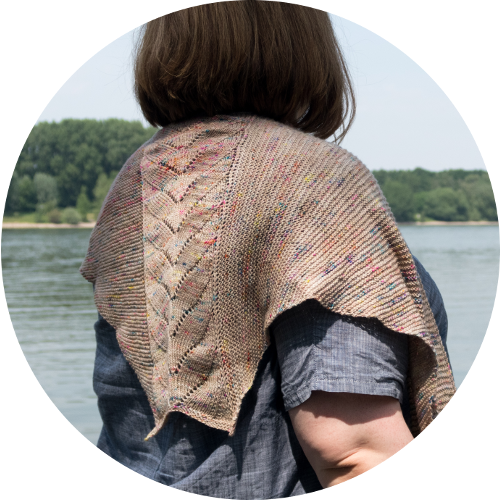 The shoulders are closed with a three needle bind off and for the underarm construction I was inspired by a sewn, boxy garment that I own, so there are no seams in sight. After the body is finished, you are going to pick up stitches for the sleeves and knit down. That means you can customize the length of the sleeves to your liking. To lower the back hem a little bit and to shape the shoulders, I used my favourite short row method, Shadow Wrap short rows. If you haven’t tried them before, you can find a tutorial here. This is the point where I show you some of my sketches from the original submission. As you can see, my original idea had a pattern down the front of the sweater, that is where the design got its name. The other place where I diverted is the depth of the ribbing on the sleeves and perhaps the overall fit. To achieve a fit as in my drawing, you might want to choose a size up from what you would usually knit. So, for the giveaway part! SweetGeorgia Yarns kindly offered to give one of you the opportunity to win a pattern of your choosing from the collection! To enter, check out the whole collection and leave a comment on this post with the pattern you would like to win. Make sure to leave a valid email address and your Ravelry username, so we know how to contact you. The giveaway closes on October 9th, 2016 at noon (GMT+2) and I will announce the winner on my Instagram feed. Giveaway is now closed, thank you for participating! It’s the dog days of summer over here (finally!) which means it is close to two months since my last post! Seriously? But it also means autumn is right around the corner with sweater weather and all that comes along with it. Right? Right. What have I been up to all this time you ask?